This edition of The Two Sheds Review sees us taking a trip back in time to August 2003, in Helsinki, Finland, for the Valhalla Pro Wrestling show Culture Shock. This was one of those shows I managed to get my hands on quite a while ago, at a time when it seemed that every wrestling fan had brought DVD recorders and were transferring their collections onto DVD before selling the tapes afterwards. I managed to get quite a few tapes around that time, transferring them to DVD myself. Except I didn’t sell them on, I just gave them to my brother. This will actually be a review of the programme that was broadcast on Finnish television, and features A.J. Styles defending the NWA World title against Kid Kash. The first match of the broadcast sees former WCW Commissioner Mike Sanders going up against Sonny Siaki. It’s a good match to start the show with, with both wrestlers showing the full extent of their skills, and a reminder of just how good the under-rated Sanders was. It’s a shame we don’t seem to hear much about him these days. But getting back on topic, as I said a very good match between the two, with Siaki getting the win with his version of the spinning neck breaker. And if anyone can let me know what Mike Sanders is up to these days, then please do. Then it’s on to the title match, with Kid Kash challenging A.J. Styles for the NWA World title in a two out of three falls match. It’s while watching this you realise just how good a heel Kid Kash is, always arguing with the crowd and questioning the referee’s decisions, and even threatening to walk out before the match even begins. Styles, as always, is Styles, giving his all to put on a good match. Put these two together and you’ve got a hell of a match here, full of high drama and high flying moves from both men. The first fall of the bout came when Styles reversed a Kash sunset flip attempt. Of course, Kash complained bitterly about the decision. Kash equalled things up with a double under-hook suplex into a brain buster, and after a ton more of great action, Styles countered Kash’s top rope hurricanrana attempt with a Styles Clash from the second rope to get the deciding and title retaining win. A very good match here, but being the kind of wrestler he is, Styles could probably have a good match with a broomstick. Then it’s the Helsinki street fight between Shane Douglas and Sabu, who was replacing Justin Credible, who had apparently missed his flight. Douglas, as is his way, endears himself to the crowd with a few choice words, while Sabu actually comes into this match with his left arm up to his shoulder in a cast. The injury doesn’t seem to hamper Sabu at all, as both me brawl all around the arena, and Sabu seems to take great delight in opening Douglas up by stabbing him in the head several times with a sharp stick. Once back in the ring, Sabu pulls out his usual array of moves, which only seem to hurt his left arm even more. Later, Sabu brings one of the guard rails into the ring and backdrops Douglas on to it. But in the end, the Franchise comes out on top in what looked to be a very sloppy ending. When Douglas was pinning Sabu, the referee didn’t actually count to three, even though Douglas still had Sabu pinned to the mat. It was only after Douglas took Sabu down with a variation of the fisherman’s suplex did he get the final pin. The arena was silent as the confused fans didn’t actually know who had won until it was announced by the ring announcer. So in the end the good brawl was spoiled a little by a rather shoddy ending. In conclusion - even though this broadcast was only an hour long and there were only three matches, VPW Culture Shock was an enjoyable show. However, I really can’t understand why some of the European wrestlers on the show, wrestlers such as Erik Isaksen, weren’t featured on the television broadcast, as I’m sure that the local viewers would have liked to seen some of the Europeans in action, even if they didn’t know who they were. It would certainly have added a little variety to the overall broadcast. www.twoshedsreview.com - My home on the web. Along with recent wrestling reviews, you can also find book, film and boxing reviews as well. www.myspace.com/twosheds316 - My online blog, where things that don’t fit into my regular columns are found. www.lulu.com/twosheds316 - My online store, where you can purchase the various books I’ve released. A new publication will be added soon. Watch this space! www.youtube.com/twosheds316 - My YouTube page, including an example of how certain professional wrestlers should stay away from music business. 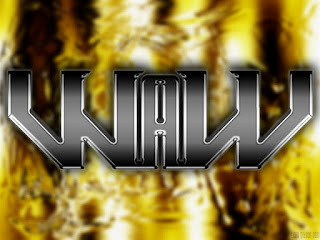 www.a-merchandise.co.uk - Official sponsors of The Two Sheds Review website, with DVDs from around the wrestling world, from WWE, TNA, ROH, Pro Wrestling NOAH, and more. www.mmauniverse.com - Another sponsor of The Two Sheds Review website, featuring DVDs and fight wear and gear from all over the MMA world.